Please call (818) 981-9906 to check in stock colors! Hill-Rom's Art of Care® Overbed Tables feature a low profile design that accommodates most of today's hospital beds. The rounded corners and limited exposed parts make the tables easy to clean and maintain to satisfy infection control protocols. 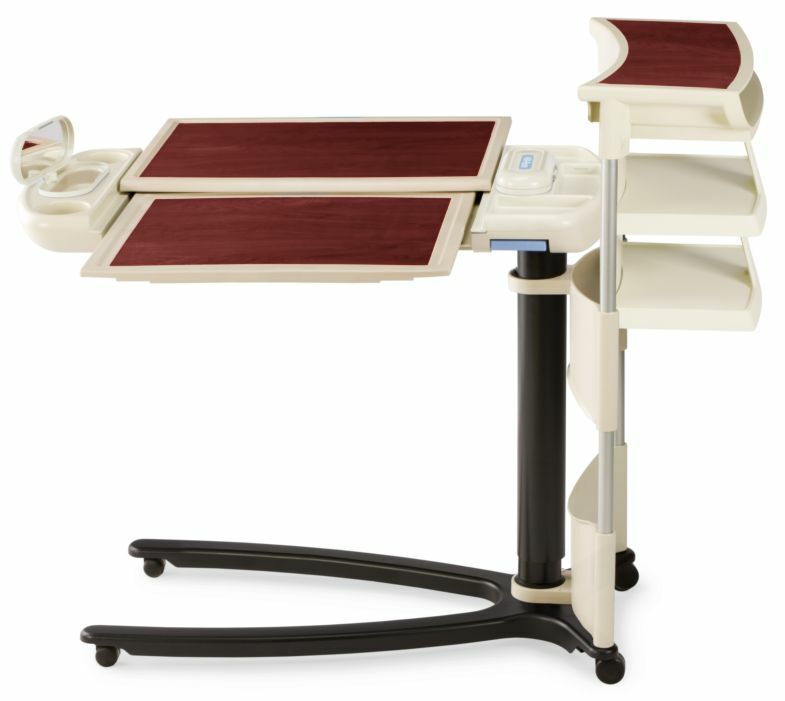 For patients that are limited in their mobility, especially those that suffer from a debilitating disease that weakens the muscle, one of the most reliable pieces of medical equipment that they rely on is the table. 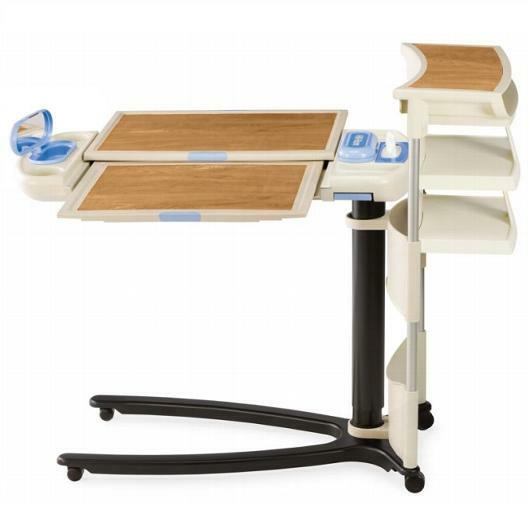 Not just any table, but an overbed table that runs over the bed, providing the patient with a space to eat, rest items on, or even to write on. However, figuring out which overbed table to purchase may be a hassle if you are caring for a loved one. Here is a rundown on how to go about your purchase. Overbed tables are known to have convenient features built into them, like the Hill Rom Art of Care Overbed Table, which features a low profile design that accommodates all of today’s hospital standards. 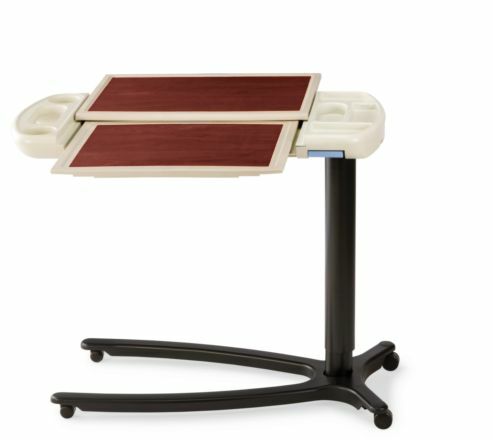 Most of today’s traditional tables aren’t beneficial for patients due to their multitude of problems. For one, they may have a sharp edge, which patients may accidentally hurt themselves on, along with its lack of flexibility. 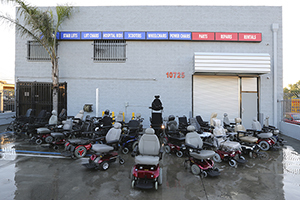 Patients that are bedridden or spend most of their time in their beds need an effective solution to perform daily tasks. 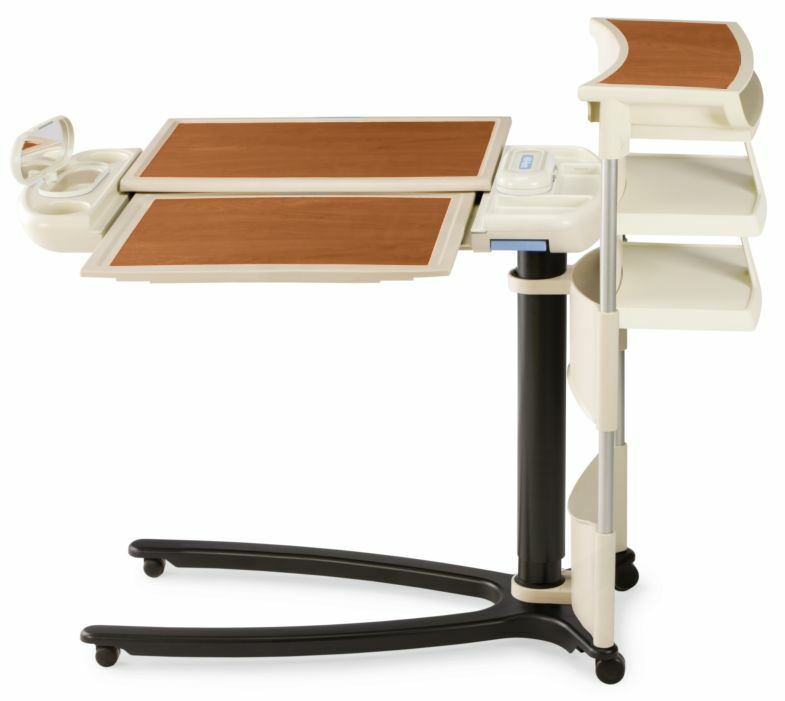 By using a overbed table, such as the Hill Rom OBT 635, the patient can free him or herself from all the constraints that modern overbed tables have. 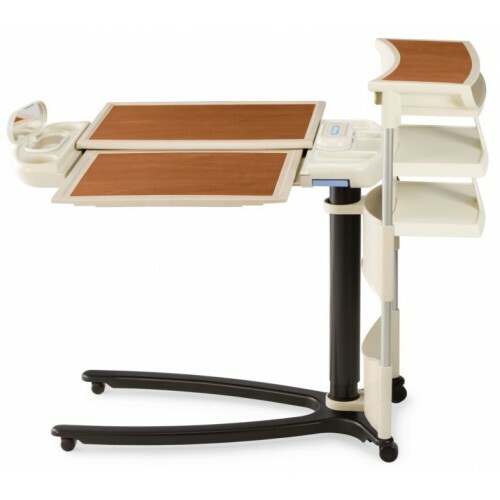 If you are already familiar with hospital tables, you might have run into problems. Remember, not all overbed tables are created equal. Keep this in mind before purchasing an overbed table that you “think” will work for your loved one. Be sure that you create a checklist and use it to find the appropriate table. Is it safe? Can it easily move around? Can it lift up and down with ease? Does it have shelves attached? Is it a satisfactory size? Is it steady? There are two types of table legs that you can purchase, the U-shaped or the H-shaped. Now, both of them are designed to essentially roll under the hospital bed. While it may sound like it may not matter, consider your patient’s needs. Do they use a wheelchair? If so, a U-shaped leg may not be right for you as it doesn’t provide ample space for a wheelchair, causing problems for the user. On the other hand, the H-shaped leg may be less convenient for the caregiver providing care to a bedridden patient as they do not have much room to maneuver and must walk around it each time. 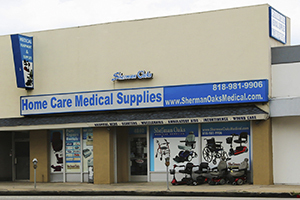 So, as stated before, it’s important that you take a long look at your patient’s needs. Then, you can decide which overbed table works best for him or her. Be sure that you consider hygienic properties when you purchase an overbed table. Do they satisfy infection control protocols? Are they easy to clean? Are they made from materials that can irritate the skin? It’s an underrated factor that many caregivers seem to miss often. It’s important to understand that elderly patients require more care than the average individual. This means every aspect must be taken in consideration as it can ultimately affect the health of your loved one. Furthermore, as a caregiver, can you function around it? Will it benefit you in caring for the patient? Is it easy to maneuver around and easy to build? Be sure to consider all these aspects before making your purchase as it will save you both time and money. Don’t rush into a purchase because of the need for one, take your time and delve into the depths of the information that the supplier writes. By choosing the right type of overbed table, like a Hill Rom overbed table, you can drastically improve a person’s way of life.